I was taking a hike through Khao Yai National Park when I came across the centipede below. Can anyone identify what animal it is more specifically? It's been a few years and I only took this picture, but my guess is that the centipede walks on a rotten tree which has other plants (at least those two green veins on either side of the centipede) growing on it. 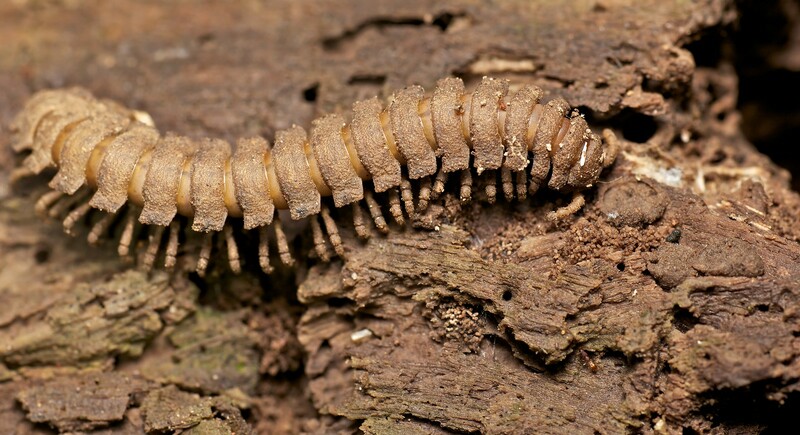 From what i can tell, and the little bit of research i did it appears to be a "Flat backed millipede" or part of the Polydesmida family, of which there are a huge variety and many are hard to tell apart. 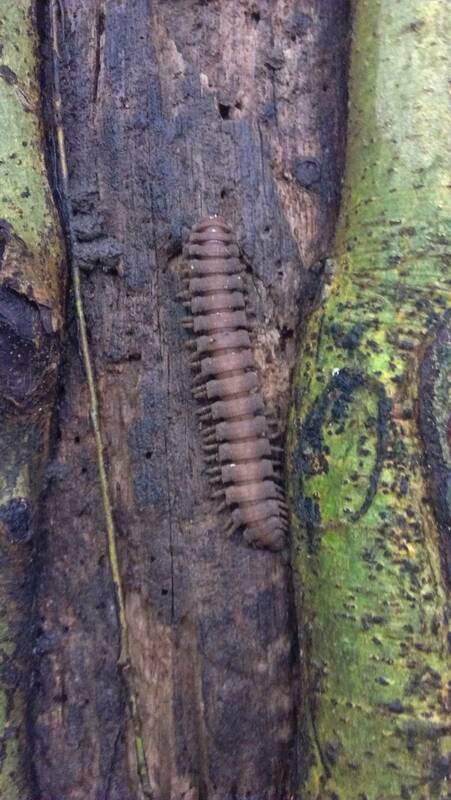 It is not possible to reliably identify Polydesmus millipedes without examination of male gonopods or female epigynal structures. I have a feeling this may be one of them, Polydesmus Angustus is common in the UK, I am uncertain about how common they are in Thailand. Although where you found him would make sense as they live among and feed off of rotting woods and forest debris. And just for the heck of it, here is another image of what appears to be the same species taken by someone else in the same place. I will attempt to do a little more research when time allows and see if i can find any other information or possibilities. Not the answer you're looking for? Browse other questions tagged bug-identification thailand jungle or ask your own question.